I have been completely remiss in posting my outfit posts on here lately but when I got dressed this morning I couldn't wait to take some photographs of my outfit, so here they are! 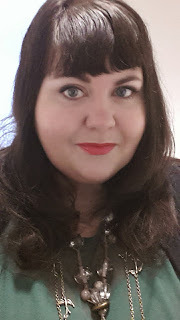 I am wearing a new green dress from +Simply Be which is actually sleeveless but the weather is far too cold for that, hence the black cardigan (South from +Very.co.uk )! 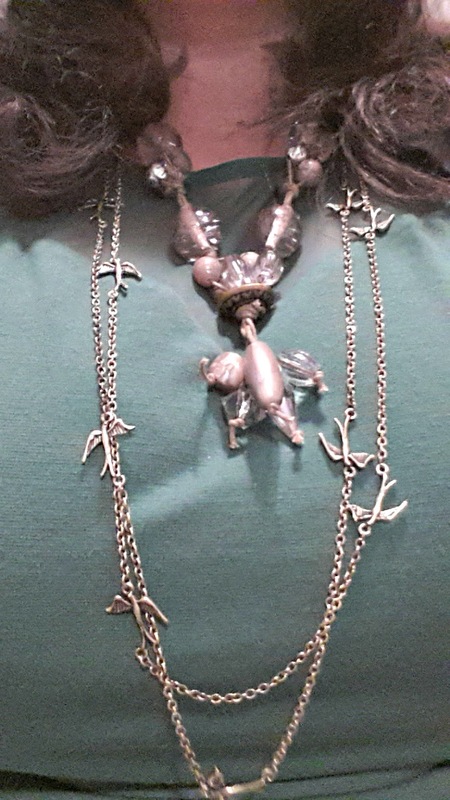 My two bird necks I bought from Primark yesterday and the large statement necklace I managed to find in a charity shop but was originally from Per Una at Marks & Spencers. 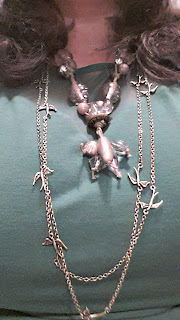 Thanks Mel, I love the bird necklaces too, wish I had bought more than 2! Tis indeed boobilicious! love it! 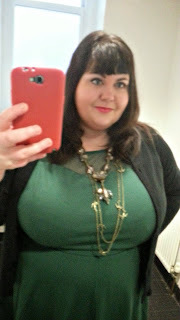 I hardly ever wear green so this is a new path for me, but I am really taking to it now.